Adjuntas is a small mountainside municipality in Puerto Rico located central midwest of the island on the Cordillera Central, north of Yauco, Guayanilla and Penuelas; southeast of Utuado; east of Lares and Yauco; and west of Ponce. Adjuntas is spread over 16 wards and Adjuntas Pueblo (the downtown area and the administrative center of the city). Adjuntas is about two hours by car westward from the capital, San Juan. It is the principal city of the Adjuntas Micropolitan Statistical Area. Adjuntas is nicknamed "the Switzerland of Puerto Rico", because of its relatively chilly weather. Many Puerto Rican mountain towns have cooler weather than the rest of the island; Adjuntas is no exception: the average yearly weather is 21 °C (70 °F) (High: 28 °C/83 °F; Low: 14 °C/58 °F). Its mild climate attracts a good number of islanders tourists during the summer months. The town has a small hotel named Monte Rio and a good size parador, or country inn, called Villa Sotomayor. Although there are petroglyphs and traces of Taino people in Adjuntas, there is no proof that the region was dominated by a specific cacique. Nearby caciques like Guarionex and Urayoan couldve had some control over the area. According to historian Aurelio Tio, during the Spanish colonization of Puerto Rico in the 16th Century, it is believed that a Spanish interpreter called Juan Gonzalez settled in the region. Also, historian Cayetano Coll y Toste wrote a legend about Spanish people looking for gold in the region of Adjuntas. 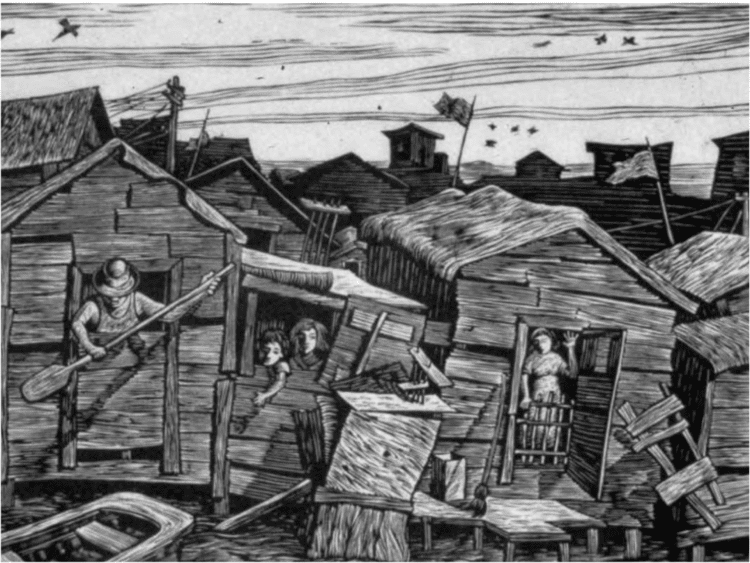 As colonization progressed, Adjuntas became part of the San Blas de Illescas de Coamo village, which was founded in 1579 and became the most important settlement in the south. 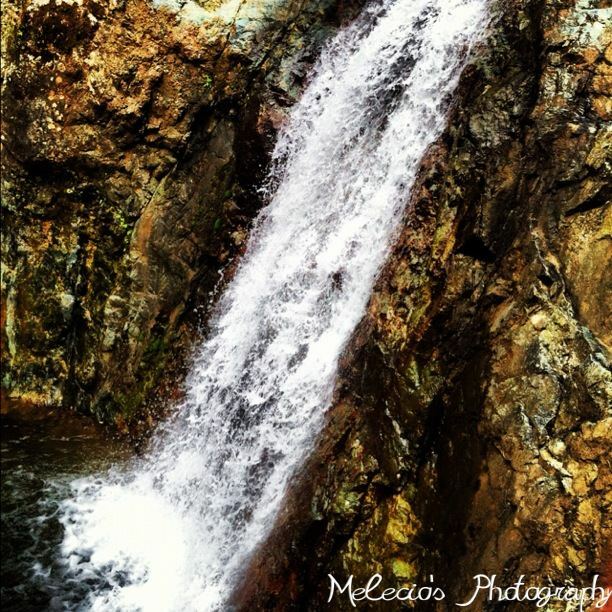 It is believed that the name "Adjuntas" derives from the term of "being close" to Coamo. As population shifted to Ponce, Adjuntas became more linked to that town, and then to Utuado, being a ward of this municipality in 1739. With 20 families established in the region, the residents of Adjuntas vouched for the settlement to be officially recognized. The town of Adjuntas was then founded in August 11, 1815, with Diego Maldonado being elected as its representative. A city hall and public square were built shortly after. Adjuntas was one of the main cities where the Anusim, Maranos, and other Sephardi Jews settled. Many of these families were of the Torres, Perez or Peretz, and Bennazar families among others. Berberena and Mozarabes settled there too. Taino families from neighboring Utuado can also be found in this area, along with escaped cimarrones, or African slaves, who intermarried with the Taino. DNA genetic evidence shows that many Africans fled up the Camino Real into the mountains to escape the sugar plantations of Ponce. The Mandinka, Wolof & Fulani mtDNA African haplotype, L1b, is present here. Taino haplogroups A & C can also be found in this area. After the mid-19th century, Adjuntas welcomed many immigrants from the Mediterranean islands Corsica and Majorca. Some of them established coffee plantations. During the last decades of the 19th Century, the coffee produced in Adjuntas was exported to Europe, United States and even the Vatican. Adjuntas was proclaimed a "villa", or a first order municipality, by the Spanish Government Monarchy in 1894. Several years after, the town was occupied by the United States Army forces during the Spanish American War of 1898 and was visited by President Theodore Roosevelt in 1906. The discovery of rich deposits of copper, gold and other minerals during the 1960s motivated some local community and environmental leaders to oppose the mining. 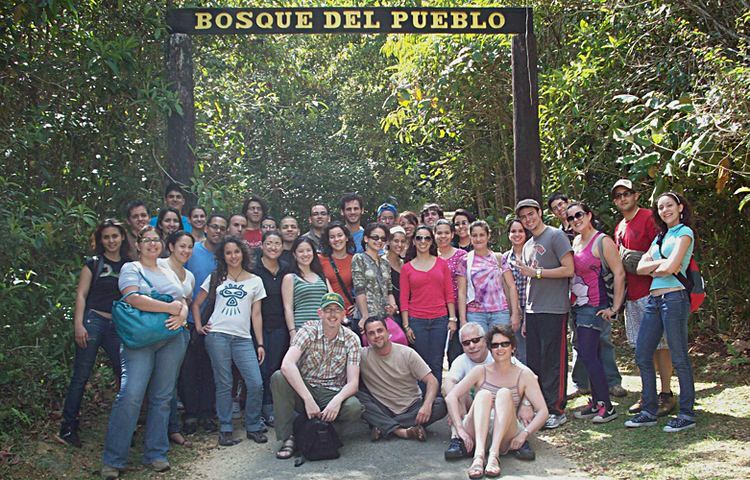 Casa Pueblo, a local community organization settled in Adjuntas, opposed to the mining and advocates for the preservation of natural resources in Puerto Rico. 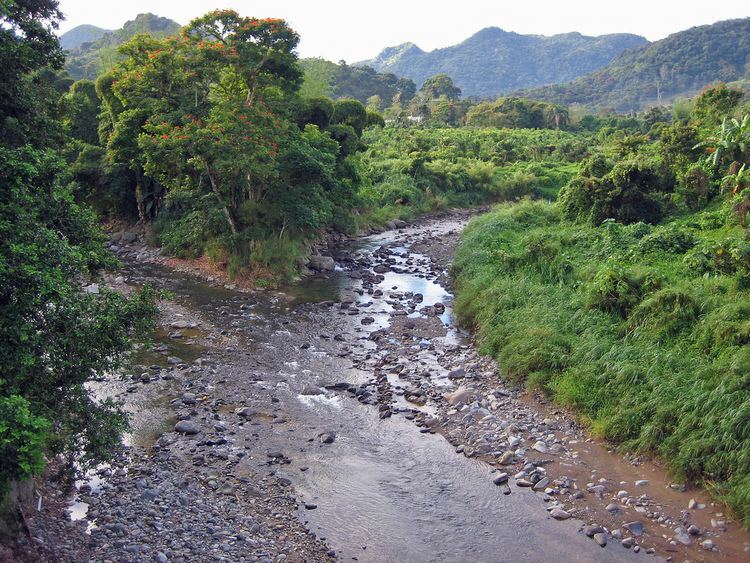 The terrain in Adjuntas is very mountainous, due to its location in the Cordillera Central. It borders Utuado in the north and east, Lares and Yauco to the west, and Guayanilla, Penuelas, and Ponce to the south. Historian Pedro Tomas de Cordova described the terrain as "high, and mountainous, and very healthy". He also praised the quality of the terrain for agriculture. Adjuntas highest peak is Monte Guilarte (3,773 ft; 1,150 m), followed by Vaquinas (3,346 ft; 1,020 m). Guilarte itself is the sixth highest peak in Puerto Rico, and is located in Guilarte State Forest. Cordova also mentioned the water features, describing 26 rivers and 16 creeks that ran through the region. Historian Lidio Cruz Monclova noted that some doctors requested patients to travel to Adjuntas to stay in a hotel called "La Adjuntena". The hotel was the property of C.L. Ginestre, and served both tourists and the sick. Cruz noted that doctors believed the colder temperatures of the town were beneficial to health. According to mayor Jaime Barlucea, Adjuntas receives approximately 700 tourists per weekend. Most of them want to visit the haciendas established there during past centuries. Some of them are: Hacienda Bareal, Hacienda El Muerto, Hacienda Arbela, and Hacienda Pietri. Other landmarks are Monte Guilarte, and the Inabon waterfall. Another known tourist stop in Adjuntas is Casa Pueblo, a local museum and cultural institution founded by a group of activists that fought against the copper mine exploitation of the area for decades. Casa Pueblo is responsible for many environmental projects, namely the preservation of hundreds of acres of woods and bodies of water. 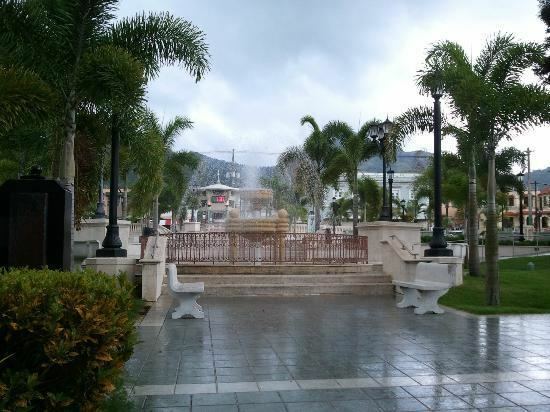 However, some residents and businesspeople from Adjuntas maintain that the government has not taken advantage of the many tourist attractions in town, which include three forests, waterfalls, lakes, and many renowned restaurants. One of the projects that has received media coverage is the Castillo de los Ninos, built during the mayoralty of Barlucea. Castillo de los Ninos is a recreational park resembling a castle, with gazebos. Like most municipalities, Adjuntas celebrates its fiestas patronales annually. They begin in August 21 and are dedicated to Saint Joachim and Saint Anne. Since its foundation in the 19th Century, the production of coffee, sugarcane, small fruits, and cattle have formed the foundation of the agriculture of Adjuntas. 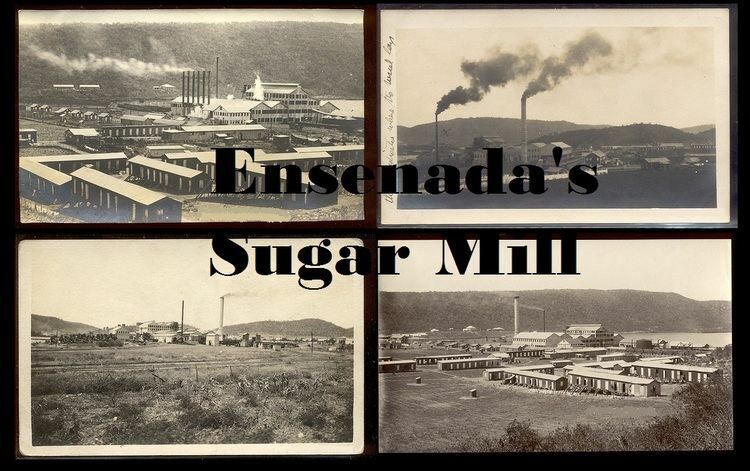 During the middle of the 20th Century, however, the production of sugar declined with the arrival of manufacturing industries.